Transport from Rumsu base camp to Jobra and return Chatru to basecamp. Hampta Pass is an unusual, special pass. 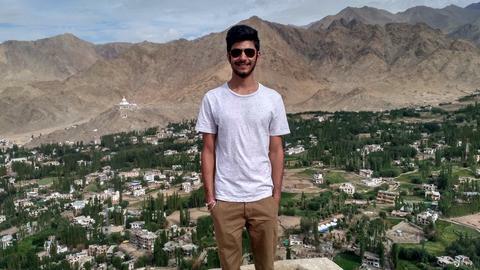 It climbs out of lush green valleys of Kullu to a perpendicular overhang, high in the mountains. The overhang you stand on is almost like a balcony view to a different world below​: the deserts of Lahaul. 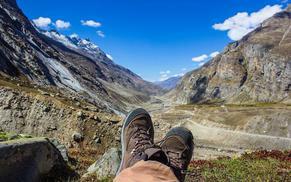 From the pass, you see the Lahaul valley in one wide panoramic sweep. It is one the most dramatic twists in landscape you’ll see! Hills and Beyond is an adventure travel company based out of Jaipur. We are focussed on giving you a first hand experience of a lifetime. There are no hidden cost in the trip, everything is made transparent. We being mountaineers will be with each and every trip and give you more information and knowledge about the world of mountaineering. Also being certified in first aid, we make sure safety of each and every person and try getting 100% success ration in each of our trips.